This is another paper line to be introduced at the retreat tomorrow. 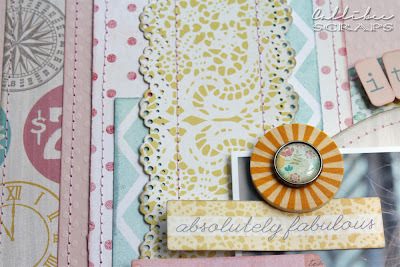 We already put out two of this line's collections: Tangerine and Bluebell. This time, we will put out Lavender and Honey. I chose the Lavender line to work with, while my friend Angela worked with the Honey line. I hope I can get some pictures of her layouts to post here later. The lavender line has a lot of soft pastels, especially pinks and yellows. I also either desaturated or whitewashed my photos to suit the colour palette. This layout will also be my submission for a sketch challenge with My Creative Scrapbook, so it may turn up again in a separate post as part of the competition requirements. 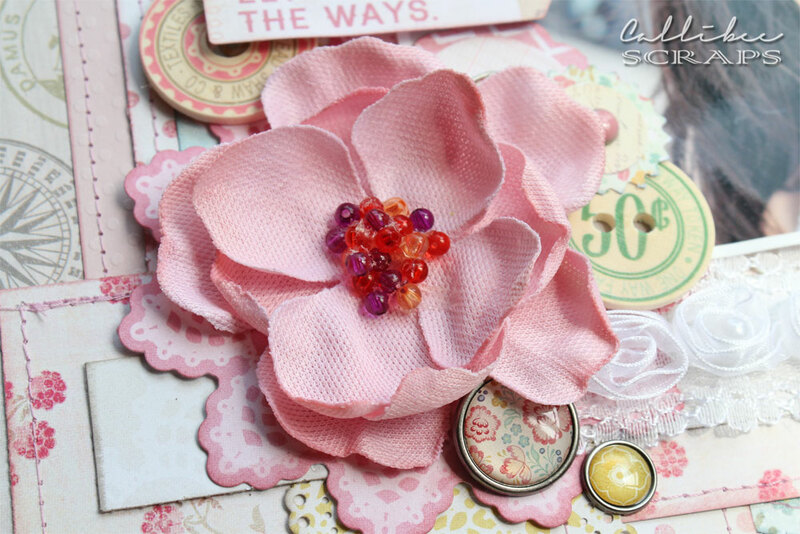 This pretty pink canvas flower adds the 3D element to the page. I added machine stitching to most of the paper. I really adds an extra visual effect to the layout. I based this on a layout I saw in a magazine but cannot remember which one now. I kept it simple with small elements dotted around the page. 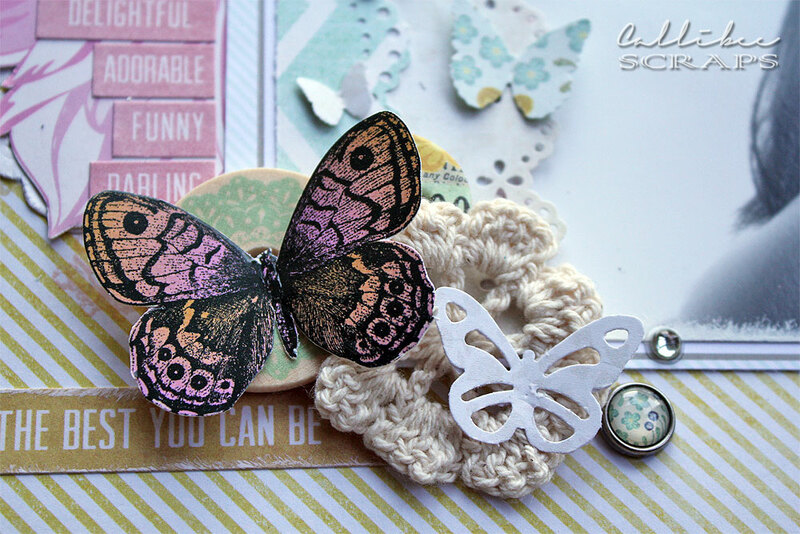 Little elements keep the page whimsical and floaty. 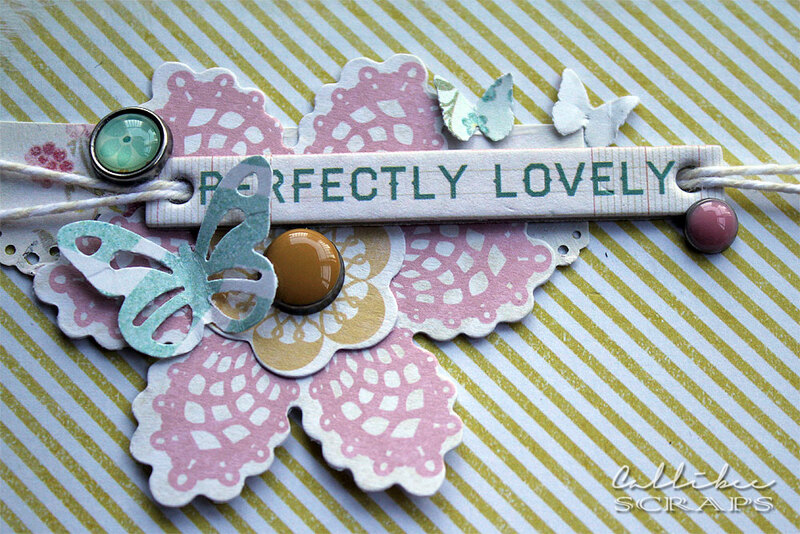 Balance out the page with a smaller accent corner. 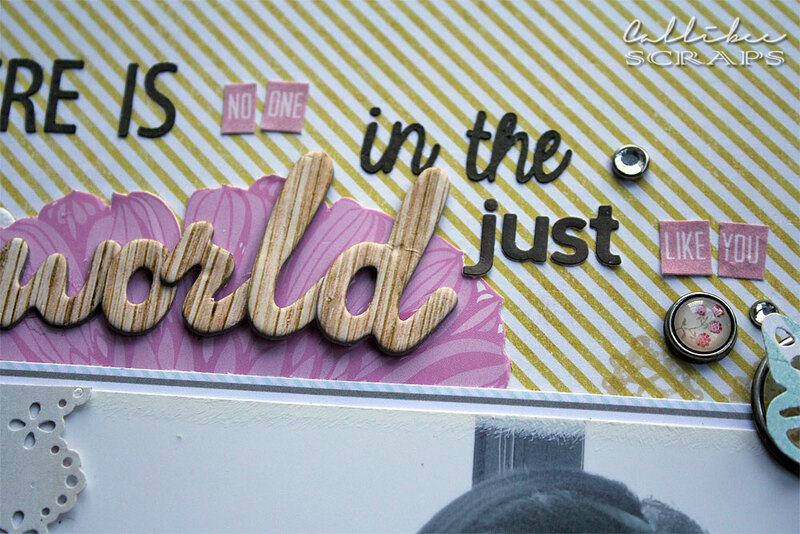 The title is a mixture of die cut letters, stickers and chipboard. I made this layout for an eClips introduction class that I did last Tuesday evening. The lace and title frames are all cut by the eClips. A little pop of yellow stops this layout from being to monotone. Your layouts are amazing! Love your submission for My Creative Sketches! Thanks for playing along! 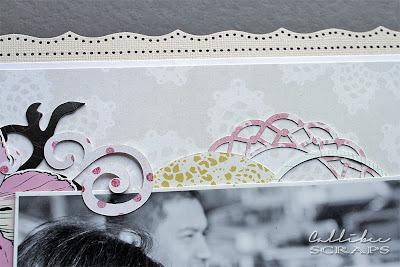 three very beautiful layouts! thanks for joining us at My Creative Sketches! 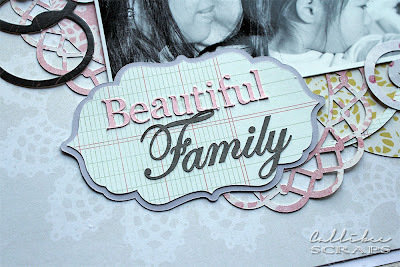 Wow...beautiful pages!! Thanks for playing along with My Creative Sketches!! Wow!!! your pages are amazing!!!! love you work!!! Thanks for joining in the fun at My Creative Sketches! Oh my goodness! Your style is incredible! LOOOOVE what you've been creating!